While India is interesting as a cinema market (see yesterday’s Daily) it is China that matters as far as Hollywood is concerned, with Mainland BO set to overtake the US in as little as four years. The rate of shopping mall construction in Beijing, Shanghai, Guangzhou and other tier-one cities — already well served by shiny new theaters — is set to cool because of measures aimed at offsetting a possible real estate bubble. But analysts believe smaller cities remain full of potential. The government also is examining ways to consolidate the Chinese exhibition sector and slash the number of theater chains — now about 40 — in half. Many are owned by local governments, but their theaters are antiquated and no longer competitive. There also are plans to encourage the use of theaters for diverse content other than movies, such as major sporting events and 3D classical music concerts. While not as good news for Hollywood as any further easing of the annual 34-film quota, this still means a bigger audience for Hollywood films. USA: The new season of the Met Opera is about to start and tickets go on sale tomorrow (Sunday) in the UK for Cineworld’s Picturehouse cinemas and elsewhere. Prices are: Live screenings £30, Encore screenings £20, with £7 off each price for members. Annual membership cost varies; in London it’s typically £40, and includes 3 free tickets for standard shows (not including Met Live and similar events). That’s a pretty steep price (rise) and Londoners looking for cheap tickets would have to travel to the suburbs. 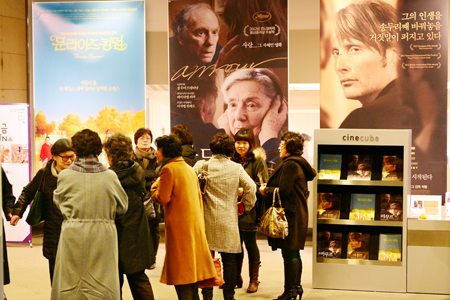 Korea (South): Independent cinema in Korea seem to have stabilized by tapping into niche audiences. There was a time when independent theaters were almost driven to extinction by the slew of multiplexes owned by the country’s entertainment conglomerates. India: Rentrak is set to launch its box office tracking service in India after several years of persuading all major cinema operators to come onboard. “Our goal is to capture as much data in India as we do in other territories – we have 95% coverage in each one,” said Rentrak senior vice president Jim Zak, speaking on a FICCI Frames panel about business models for the film industry. UK: Community run cinemas can be a success in small towns. This one has been going for two decades. A GROUP of volunteers who set out to relaunch a traditional cinema in a market town, despite a downturn in the industry, are celebrating 20 years of reversing the venue’s fortunes. The Ritz Cinema, in Thirsk, North Yorkshire, now attracts more than 20,000 movie-goers a year, almost double the number of users than when it was relaunched in March 1995, following the closure of the Studio One picturehouse. USA (FL): The man accused of shooting a fellow cinemagoer to death over a texting argument is apparently not averse to texting in the cinema himself. Records show that a retired police captain who allegedly shot a man in a cinema because he was texting had himself sent a message moments before the incident. USA (CO): The Aurora cinema shooter has suffered several legal setbacks. A Colorado judge overseeing the mass murder case against a gunman charged with killing 12 people in a suburban Denver movie theater has rejected several defense challenges to the state’s death penalty laws and abruptly canceled hearings on the issue. 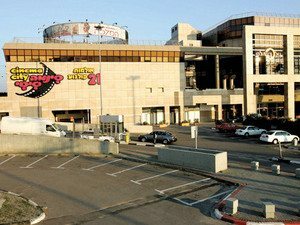 Israel: The question of whether the new multiplex in Jerusalem can be open on Shabbos (sabbath/Saturday) goes to the Supreme Court. Currently it is not open on Shabbos. Those who want it open appealed to the courts, claiming, among other things, that keeping it closed on Shabbos is religious coercion. Las Vegas: Harkness Screens will hold its first ever Harkness Academy at this year’s CinemaCon 2014, looking at cinema-issues and offering its own solutions. “We’ve had enormous success to date with our web seminar series. Since we started running these events back in 2012, their popularity has grown and they continue to receive praise and critical acclaim from our customers, industry partners and indeed the media. With the Academy we have the ability to share some of those technical themes and messages with a captive audience that are in town for the biggest cinema show on earth,” says Richard Mitchell, head of global marketing at Harkness Screens. UK: The last and only cinema in one of UK’s leading port cities is threatened with closure. 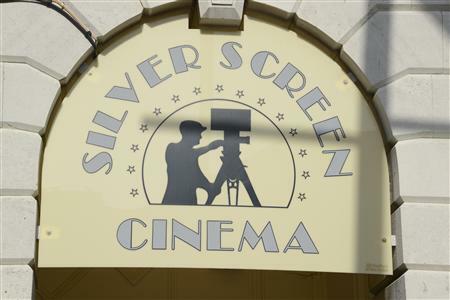 More than 2,900 people have signed a petition to try to save Folkestone’s Silver Screen Cinema in Guildhall Street. The cinema, in the town hall, is the only one in Folkestone and currently does not have the digital facilities to cope with newly released films. UK: One of Britain’s smallest fully functioning cinemas has opened in Canterbury. THE University of Kent has opened a new 62-seat cinema named after the pioneering female film director Ida Lupino. 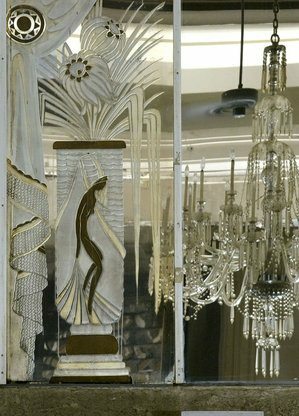 The Philadelphia Historical Commission on Friday granted Live Nation permission to gut the lavish interior of Center City’s landmark Boyd Theater, opening the way for the building’s sale to a Florida entertainment company and the construction of a high-end multiplex on Chestnut Street. We previously wrote about the cinema here. Canada: Saskatchewan’s Estevan is set to get a second cinema screen, with a 7.1 upgrade to the first. After years of planning, and about nine months of construction, the second cinema for the Orpheum Theatre is now open. 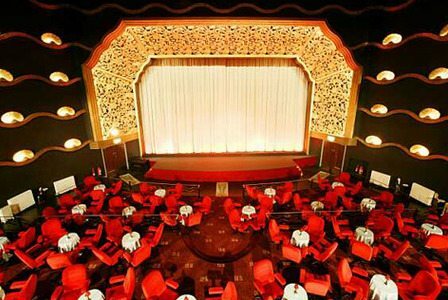 A poll in the UK’s The Guardian has named The Rex in Berkhamsted has been voted best cinema in the UK. Queues to the much-loved Three Close Lane picturehouse regularly stretch around the corner into the High Street when tickets go on sale. Popular films are known to sell out within hours. Berkhamsted mayor Ian Reay said: “That just goes to show how successful and well-run it is. The cinema’s reputation for comfy, spaced out seats stretches far and wide. There are also tables around which guests can enjoy a drink and nibbles during film screenings. Upstairs and downstairs bars are open while movies are being shown. What’s even more encouraging is that Rex had been lying empty for 16 years and was only resucitated in 2004 by entrepreneur James Hannaway and Berkhamsted-based chartered surveyors Robert Martell & Partners.